The world's top paddling news in week 27, 2018. Hala - The Vail Town Series this year rocked! We had great weather from the very start, bringing in ladies all the way from Winter Park. It is always way more fun when you have a full heat of women to play with. TotalSUP - Starboard is taking its role in protecting the environment seriously this year. This time it is in the form of The Whale Company charity, which was set up by Brazilian and British couple Carlos de Sousa and Carolyn Newton, with the aim to paddle the length of the Thames. SUP Connect - One of SUP's top whitewater paddlers, Brittany Parker, suffered serious injuries on the morning of Wednesday, June 27th. TotalSUP - Australian World Champion SUP athlete and Starboard paddler Michael Booth has ticked off some serious goals this year. He moved into SUP from other paddle sports at the end of 2014 and in this short time he has climbed to the top of the international professional field. Jackson Kayak - Why go on a kayaking trip to the Pyranees? For the pain au chocolat of course! Just kidding, well, kind of. The Pyranees is the mountain range that borders France and Spain, with the small country of Andorra sandwiched in between. The highest peak is about 11,000 feet, and it is full of great whitewater. International Rivers - Today, the UNESCO World Heritage Committee took the decision to officially inscribe Lake Turkana as a World Heritage site in danger because of severe impacts caused by the Gibe 3 Dam, constructed upstream on Ethiopia’s Omo River. Rafting Life - A little write up and post on Spark of a trip back in March to Surge Narrows. SUP Examiner - A lot of us prefer to make eco-conscious choices but we don’t want to sacrifice money or performance in the process. Rafting Life - A look back at the Gordon River Creek Festival. Such a good time out in the woods near Port Renfrew. SUPracer - Highlights from the Kids' Race in Bilbao always so inspiring to see the next generation having fun on the water! Posted by The Paddle League on Wednesday, June 20, 2018 Short little highlights reel (and a few interviews) from the super fun kids race in Bilbao last weekend. 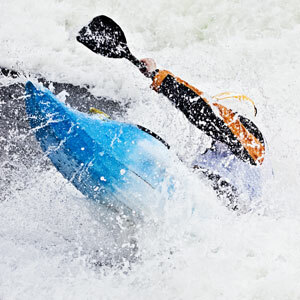 Jackson Kayak - If you’ve ever been afraid to step outside your comfort zone, then you’re in the right place. Inside the Adventure features incredible athletes and everyday people, sharing their epic stories of pushing life to it’s limits.